Asthma is not just a human disease and can also affect animals, including dogs and cats. When your pet suffers an asthma attack, it is due to inflammation and spasm of the airways as well as excessive production of mucus. This leads to difficulty in breathing. Dogs can get asthma, just like humans. Other pets, including cats, can get asthma as well; asthma is actually much more common in cats than in dogs. Diagnosing a dog with asthma is fairly straightforward, though treating a dog's breathing problems can be more complex. Like treating human cases of asthma, dog owners must work with their veterinarian to find the precise combination of treatments and medications that will most effectively control the pet's asthma. What causes Canine Asthma, Dog Asthma? This condition is also referred to as allergic bronchitis and is often caused by your dog inhaling allergens (bacterial or fungal). Pollen and dust can also cause an allergic reaction - so a dog that sniffs flowers could inadvertently inhale allegens leading to allergic bronchitis (Asthma). As the Bronchi start to fill up with mucus they will contract and spasm resulting in your dog developing a harsh cough or rapid and shallow breathing. Other causes of the condition can include stress. Although any dog can develop this condition it is more common in middle age dogs - any owners that like to smoke should also be aware that this can trigger an asthmatic episode (not only that but it can cause Cancer too - so please pet lovers if you smoke take it outside). A dog's asthma attack can be triggered by allergies, irritants like cigarette smoke or dust, dry air, exercise, and other forms of exertion, like barking. When the dog's asthma is irritated, the bronchi — the airway passages that extend down into the lungs — begin to excrete mucus and bronchi spasms occur, making breathing difficult as the dog's airway narrows due to inflammation and constriction. 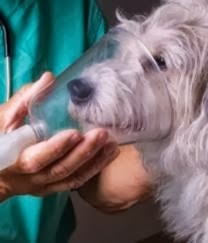 It's also common for a dog with asthma to refuse to drink or eat during an asthma attack; since breathing is difficult, the dog refuses food and drink, as this disrupts normal breathing. Even cases of less severe asthma can cause a dog to refuse to eat or drink. In a dog whose asthma is undiagnosed, the pet owner may be confused as to why their seemingly healthy dog is refusing food and water. 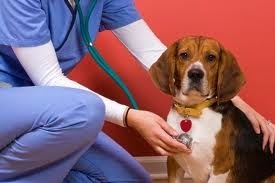 To diagnose a dog with asthma, pet owners must bring their dog to the veterinarian for an examination. Chest x-rays are a routine step in diagnosing a dog's asthma. Respiratory infections must be ruled out, as symptoms of a respiratory infection can be similar to the signs of asthma. For cases where there is an acute onset of asthma, the veterinarian will also want to check the dog for an obstruction in the airway; chest x-rays are an effective method of checking for obstructions. Blood work is also a common diagnostic tool for a dog with asthma; this will also rule out infection and other problems, like heartworms. Heartworms and other cardiac problems can cause compression of the bronchi; this is why coughing is a common symptom of heart problems in dogs. Dog owners should also keep a dog log, documenting exactly when the dog's asthma worsens or improves. A written log of the dog's condition can help the veterinarian spot patterns that can aid in pinpointing the cause of the dog's asthma. Perhaps the dog has an asthma attack every time he goes for a walk or maybe the dog has breathing problems on days when the pollen count is high. Whatever the case, a dog log can help make it easier to identify what's causing a dog's asthma attacks. 1. 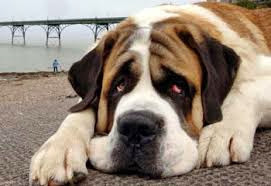 Steroids - These do have some side effects and are not always favoured by pet owners. Steroids are often used to reduce any inflammation which can lead to breathing problems, wheezing and coughing. 2. Oxygen - During an asthma attack a dog's lungs will become deprived of vital oxygen and as the attack progresses the dog can become more anxious resulting in the heart rate increasing simply exacerbating the situation. Oxygen treatment can be used to provide the vital oxygen needed during an episode. 3. Antihistamines - Many cases of Asthma are as a result of allergens that your dog's body has reaction to (causing the asthma attack). Just like in humans antihistamines can be prescribed to treat the condition. 4. Bronchodilators - These can be prescribed and are often used with humans - however they are sometimes difficult to use with dogs due to the problems getting them to inhale at the required time. Although some asthma medications are preventive drugs, this does not guarantee that your dog will never have another asthma attack. However, if she has asthma attacks frequently, call your veterinarian. He will likely give your dog a shot of a steroid called Epinephrine. Your vet may even prescribe you Epinephrine to have on hand at home for each time your dog has an asthma attack. If her symptoms still do not clear up, call the vet. How will I know if my pet has asthma? Dogs and cats of any age can get asthma, but it occurs more commonly in cats and in young or middle-aged pets. Asthma is particularly common in Siamese and Himalayan cat breeds. During an episode of asthma you may notice your pet's breathing is shallow, rapid and labored. You may also notice that your cat or dog has to put a lot of effort into inhaling and exhaling and you may see the abdomen moving in and out quite dramatically. In less severe cases, the only symptom of asthma can be a chronic cough. Especially in cats, this is often confused with hairballs. 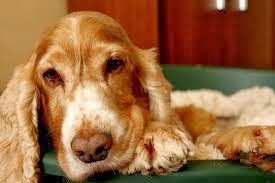 Some pets lose weight and become lethargic. However, most pets with asthma seem quite normal in between attacks. To diagnose asthma, your vet will probably need to take a chest X-ray and possibly other tests to rule out other respiratory conditions.